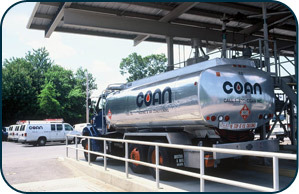 Customers choose Coan Oil for quality, and we deliver. We seek out the highest-quality fuels and equipment and adhere to industry best practices in all we do. Quality products deliver the best results, which is what we want for every customer. Coan Oil delivers heating fuel that helps customers reduce emissions, maintain clean heating equipment and support the United States' growing alternative energy industry. Our fuel is a blend of heating oil and renewable biofuel that is known as Bioheat®. To place an order for Oilheat, please call our office or use our convenient request delivery form. To learn more about Bioheat®, you can view the video to the right, produced by the National Biodiesel Board. Coan Oil offers a complete selection of diesel fuels for homes and businesses in Metrowest. We sell both on-road diesel and off-road diesel at our Natick bulk plant, and we offer delivery of off-road diesel to homes, businesses and job sites. 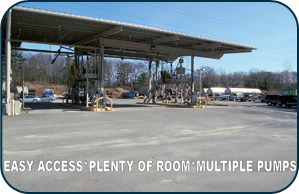 Our diesel prices are low, and our plant offers easy access for all trucks, including trailers. Your driver won't have to wait long or make a payment, and we provide printed receipts. To schedule a diesel pick-up, please call our office or contact us online. We provide fuel delivery services for commercial fleets and to tanks used for fleet fueling, job site fueling and diesel generators. We deliver on-road and off-road diesel and offer flexible delivery scheduling to help customers minimize equipment downtime. 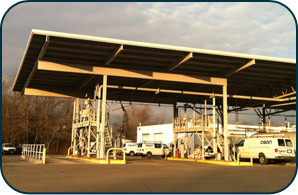 To request fueling for fleets, commercial locations or generators, please contact us online or call our office.